A New Zealand jigsaw manufacturer whos target audiences were tourists. I was hired to illustrate some New Zealand themed illustrations for jigsaws. Format: Full colour, A4 landscape jigsaw. Brief: To create a Wellington and New Zealand themed illustration. 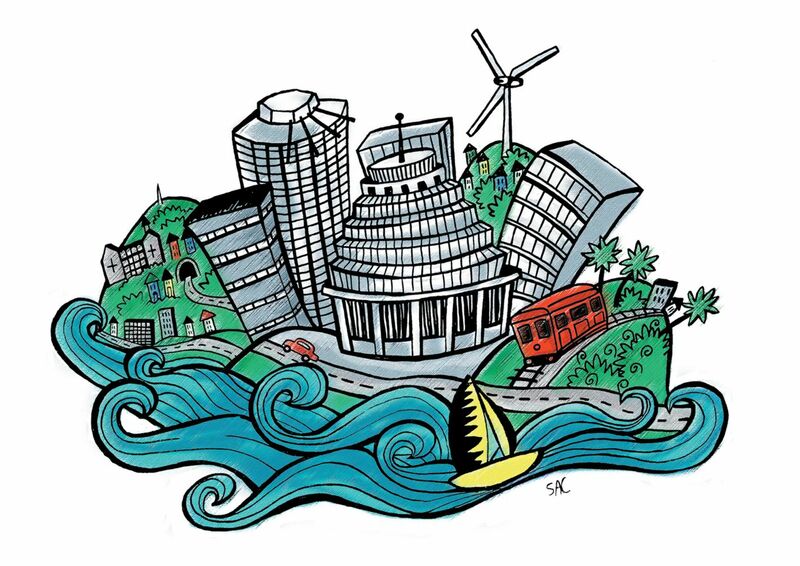 A modern line art drawing of Wellington cityscape high lighting wellingtons features like the Beehive, the harbour, the cable car and Saint Gerald’s church on Mount Victoria.